A warrior who's lost everything. A thief who works alone. Can two outcasts at odds join forces to save their people from a dark monstrosity? Oren Hart has only ever known life within the domed colony of New Arcadia. But when his parents are executed by the tyrannical Patriarch, he must escape into the desolate wasteland beyond. 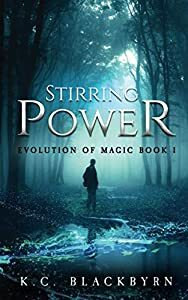 Heartbroken and weary, he learns of a secret resistance group, and begins his training under a blademaster who hints at mysterious energy and impossible powers. 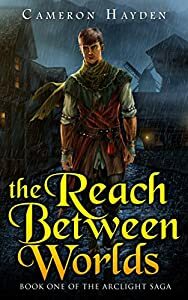 Determined to prove his worth, Oren turns his gaze east—back toward the tyrant who destroyed his old life. When Clementine's closest friend vanishes without a word, she vows never to forgive him. With her home life in tatters, she soon finds herself stealing to survive...and becoming rather good at it. Against her better judgement, she infiltrates the Patriarch's headquarters and uncovers a secret so dangerous, she too must escape into the wasteland. 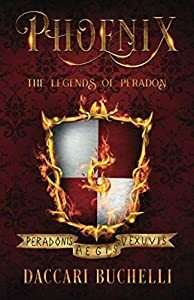 When she and Oren again cross paths, they must come to terms with years grown apart, and a monstrous new threat endangering everyone they left behind. 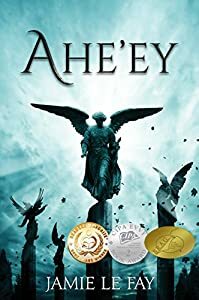 Against the Patriarch's bloodthirsty forces, can two young outcasts protect their people, or will humanity's last bastion become its final resting place? Recreance is the first book in the award winning Aeternum Chronicles sci-fi fantasy trilogy. If you like heart-pounding adventure, compelling characters, and expert world building, then you’ll love H.G. Chambers’ epic novel. 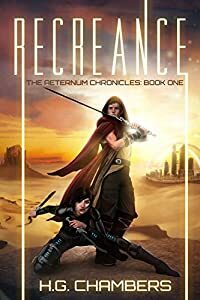 Buy Recreance to join the resistance in a sweeping fantasy sci-fi adventure today! Accompanied by their old friend Proto the Rabbiton, Orville and Sophia enter the bewildering and terrifying world of Elysian in search of Aislin Mouse. With help from a beautiful ghost mouse, Orville’s cantankerous neighbor Ebenezer, Puella the Wise One, crusty old Captain Tobias, an austere monk named Brother Solus, dreamy Madam Beasley, and Charon the Ferrymouse, the stalwart adventurers must uncover the secret of the last Metaphonium and confront the horrific burning charcoal stick creature known only as the Shadow King. 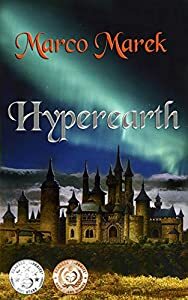 A castle within the city of Lubena holds a secret: a portal to the alternate world of Hyperearth. Mary and Martina encounter beings that range from the curious to the dangerous. They must save their newfound friends and defeat the evil Sathon. Will they solve the quest and make it out in time? Or will they remain in Hyperearth forever? In the land of Mankahar, where reading and writing are punishable by death, a battle is raging. The human empire is robbing animals of speech using a poison called “pacification,” and is marching to the furthest corners of the land to enslave animals large and small for use on their farms. The only thing standing against them is the Order, a society of free animals determined to defend their way of life. 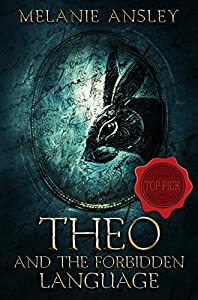 On the western fringes of Mankahar, the rabbit Theo hides a secret: he knows the forbidden language, the symbols used to “catch words”. When his village exiles him, he joins Brune, an axe wielding bear and loyal member of the Order, in the epic fight against the empire. But the Order’s cause proves dangerous. Whom can Theo trust, when the empire punishes those who read or write with death? Worse, his fellow animals view the written word as sacrilegious. As the war for Mankahar’s fate looms, Theo must risk everything to learn the full power of the forbidden language, or be silenced forever. Is this unknown power something to be feared? Magic - The scourge of the Blackwood Kingdom. Can't touch, no cure, and a violent, painful death. The kingdom is terrified of this invisible illness, and even more terrified of the creatures that come of it. However, there is one man that could shed light on it all. If he can be found. The princess, the last heir to the throne, is missing. The King Regent is determined to return her to his side...so he can rule the kingdom and finish his purge of those afflicted by magic. The only problem? He's secretly afflicted by magic as well. What happens when a princess, a hunter, a magical creature, and a warrior team together to save their kingdom? Can they find the cure? Or will the kingdom be left in the ruins of a sweeping extermination? "This is a coming of age book full of fantasy." "The action was amazing, the characters were awesome and the plot was well written." 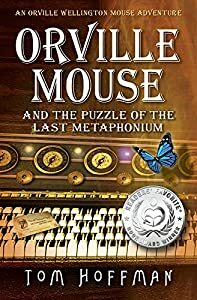 "For me, this was 'one of those stories' I couldn't stop thinking about and yearned to get back to between reading breaks." Posing as a sorcerer was never a smart idea. Now, it may cost Taro his life. Sixteen-year-old Taro lost his right leg years ago, but must continue to work to support his impoverished family. 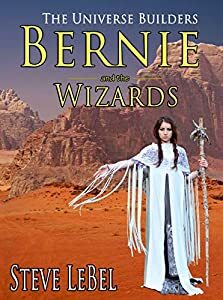 A notorious crime lord named Victor Mathan provides him with a steady job dealing in stolen magical artifacts, and trusts him to do his work with as few questions as possible. When an absurdly well-paying job comes up, Taro is quick to volunteer. The job seems simple: pose as a recruit in the Magisterium (the largest magic academy in the world) just long enough to get Mathan the information he needs. But the courses are grueling, the tests drive students mad, and the magic they teach can be as deadly to the caster as it is to the target. This is book #2 in the Universe Builders Series. The first book, Bernie and the Putty, won 16 national and international awards for excellence. 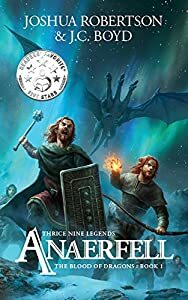 While the first ennead of books in Thrice Nine Legends can be read separate of one another, the following is the chronological reading order for full enjoyment.